About Us – Los Alamos Housing Partnership Inc.
Los Alamos Housing Partnership (LAHP) was incorporated as a 501©(3) non-profit corporation in December, 1994. 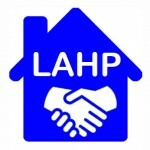 LAHP was established as a mechanism to help Los Alamos County implement a variety of housing programs and projects, although an independent Board of Directors for LAHP has provided leadership and established policy for the organization. For approximately 17 years, LAHP’s one person staff was a County employee. Office space and other office expenses were contributed by the County, as well, along with ongoing operational support. In 2011, staff support from the County was eliminated, and LAHP hired its own part-time administrative staff. In 2014, LAHP prepared a business plan with the goal of becoming an independent, financially self-sufficient organization with its own full-time staff and office space. In 2015, LAHP hired its first Executive Director to implement Board-established policies and programs which follow the adopted business plan.LAHP’s first project in 1996 was the development of Mesa del Norte, a 36 unit low income multifamily rental project funded through a combination of federal low income housing tax credits and a $2.6 million bank loan from LANB. Beginning in 1999, LAHP began the planning of the 121 unit Pinon Trails mixed-income subdivision in White Rock. 59 homes were built under contract and sold by LAHP with subsidies to income-qualifying low and moderate income households, while another 62 homes have been or will be built and sold as market-rate homes on lots sold by the LAHP. The land was purchased from Los Alamos Public Schools at full market value and developed by LAHP, with a $4.6 million acquisition and development loan from LANB. Another $9 million in construction loans from LANB was used to build the affordable homes. LAHP used proceeds from its lot sales for the market rate homes to provide funds to subsidize the cost of the affordable homes. Approximately $3.5 million in subsidy was provided. During its history, LAHP has also handled other projects, including the administration of a down payment assistance program, assistance with the intake and processing of housing choice voucher applications and operation of a housing rehabilitation program. Karl Hjelvik, President. Mr. Hjelvik is an internal Auditor Manager with Zia Credit Union and is charged with overseeing all audit activities on behalf of the company. Karl has been an LAHP Board member since 2013. Denise Terrazas, Vice President. Ms. Terrazas is President of Title Guaranty, LLC a title insurance and escrow company assisting clients close real estate transactions throughout Los Alamos County. Ms. Terrazas has been an LAHP Board member since 2009. Carol Clark, Treasurer. Ms. Clark is the Publisher and Editor of the Los Alamos Daily Post, an independent online and print newspaper covering local Los Alamos, State and national news. Ms Clark has been an LAHP Board member since 2012. Craig Wehner, Secretary. Mr. Wehner is the Owner of Los Alamos Landscaping and More, a full service landscaping company serving Los Alamos. Craig has been an LAHP Board member since 2015. Charles (Chay) Rennick, Member. Mr. Rennick is an Attorney with Robles, Rael, and Anaya in Santa Fe. He practices local government law, land use law, and environmental issues. He formerly served as an attorney with both Los Alamos County and the New Mexico Attorney General. Chay was appointed to the Board in 2016. Lesley Harelson, Member. Ms. Harelson is Vice President and Banking Center Manager for New Mexico Bank and Trust in Los Alamos. She has enjoyed a 20 year career in financial institutions and is a life long resident of Los Alamos County. Ms. Harelson was appointed to the Board in 2016. Pearl White, Member. Pearl White is a Qualifying Broker with Real Estate Associates PVW and a Broker with Zia Realty Group in Los Alamos. She has many years of experience in residential sales and property management in Los Alamos. She was appointed to the Board in 2018. Mr. Brugger has worked for 22 years in affordable housing in northern New Mexico. He has a Masters degree in City Planning and Undergraduate degree in Economics, both from the University of Wisconsin-Madison. He has an AICP certification from the American Planning Association and also is a licensed Realtor. Prior to joining LAHP as its first full-time Executive Director, Mr. Brugger was the Affordable Housing Administrator for Santa Fe County, the Housing and Special Projects Manager for Los Alamos County, and Real Estate Development Director for Homewise in Santa Fe. He was the first Executive Director of the Tierra Contenta Corporation in Santa Fe, which is the developer of the American Planning Association’s award winning Tierra Contenta mixed-income, master planned community. Mr. Brugger also served with the City of Santa Fe as its Railyard Redevelopment Director, and facilitated the transition in property management, leasing and planning activities from the City to the non-profit Railyard Community Corporation. <p”>Prior to working with the LAHP, Mr. Aragon worked for 25 years with the New Mexico Construction Industries Division, where he served as the State Building Official and General Construction Bureau Chief. Mr. Aragon conducted residential building, plumbing, mechanical, accessibility and complaint inspections, and provided code interpretations and enforced code requirements. Mr. Aragon has also worked in the private sector with several residential and commercial construction companies in Santa Fe and Albuquerque. Mr. Aragon has a General Contractor’s License (GB-98), an Insulation License (GS-1) and a Drywall License (GS-7). He is a Certified Building Official, Building Inspector, Residential Inspector, Plans Examiner, Accessibility Inspector, an International Code Council Mechanical Inspector, an International Code Council Plumbing Inspector, and International Association of Mechanical Officials Mechanical Inspector and an International Association of Plumbing Officials Plumbing Inspector. Currently, LAHP, in partnership with Los Alamos County, is administering the Los Alamos County Home Renewal Program, a major housing rehabilitation program initiative for low income Los Alamos County residents. LAHP is also administering the Los Alamos County Homebuyer Assistance Program, which offers down payment and closing cost assistance to income qualified households. Now that LAHP has completed the build-out of the 121 lot Pinon Trails subdivision in White Rock, new project development opportunities are being explored. LAHP also offers professional consulting services to local governments wanting to create new or update existing affordable housing program regulations and plans.